Whats up SOHH community! SOHH entertainment correspondent Ryan Proctor here once again with a must-see movie review. Still wore out from Christmas? I know I am trust me. But, still if you want to kick the cabin fever with the family, or just get a good laugh in, Jumanji may just be the cure for that itch. Now, let’s be honest though, did it really need a sequel? Probably not. This one though, I was pleasantly surprised. 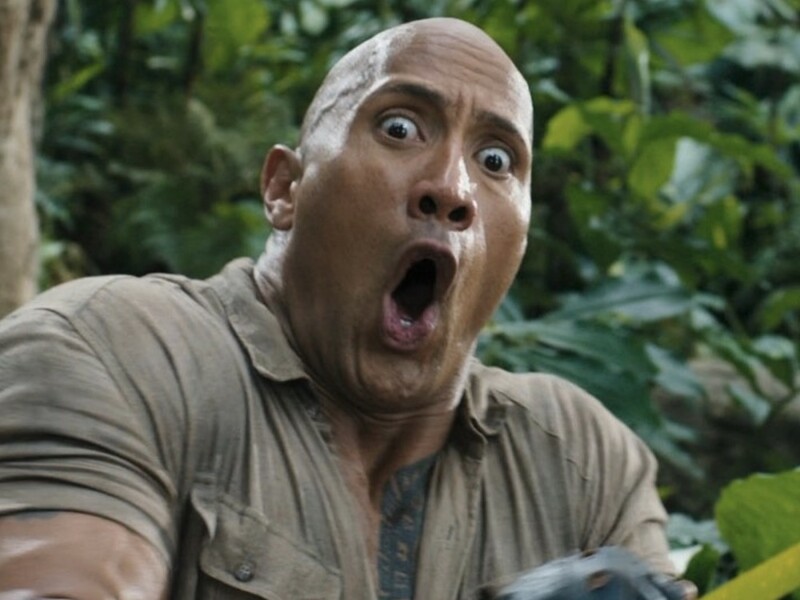 SOHH, here’s your five reasons why you should get out and see Jumanji. If you are into the Uncharted series on Playstation, this is right up your alley. I loved those video games and it almost felt like they used it as the basis for this movie. They used their spin course but, the adventure aspect it was very entertaining. This will probably be the closest we get to an Uncharted movie, so have fun with it. These three names should automatically grab your attention. I know it did for me. I may not have cared for ‘Central Intelligence’ much but seeing The Rock and Kevin Hart interact on their social media is too good to pass up. Their chemistry is great and mix in Jack Black and you have a trio that delivers laughs in bunches. Spending time with the family this holidays? Take them to see this one. It has enough everything to keep everyone satisfied. A good popcorn movie with the kids, and a bit nostalgia for the parents who saw the original when they were the kids age. It fits all ages, and seriously was enjoyed by all. And, the dialogue is not dumbed down for anyone, it’s a good movie for all ages. Albeit subtle, the movie makes sure to pay homage to the late great Robin Williams. Seaplane (Nick Jonas) makes sure to point out where he’s been staying and as he’s explaining to the rest the characters the cameras zoom in on “Alan Parrish was here” R.I.P to one the great comedy actor’s all time. Let’s be real for second. We have all thought about it, how would you do if you suddenly woke up in your favorite video game? After seeing this movie, I seriously doubt even with the special abilities I would survive Jumanji. Maybe you would feel differently after seeing the layout, but it’s a great spin on a wannabe board game. It’s crazy fun to watch, and even better to sit around and watch everyone play the game. We all agree this probably didn’t need to be made. I won’t disagree with you. This one though, is such a good movie and made in such a way you can’t help but enjoy yourself. My family and I had a great time with it. I assure you, if you give it a chance Jumanji will win you over too. Have a happy New Year guys. Wanna video game reviewed? Gotta debate a new flick? Wanna talk all things entertainment?